Two additional inmates at a West Virginia prison have come under scrutiny in the investigation into the slaying of Boston mobster James “Whitey” Bulger. Two additional inmates at a West Virginia prison have come under scrutiny in the investigation into the brutal slaying of James “Whitey” Bulger , according to authorities. Investigators are focusing on the actions of Felix Wilson, 26, a New York man who shared a cell with Bulger before his death on Oct. 30, just hours after he arrived at the federal prison. The second inmate under scrutiny is Sean McKinnon, 32, a Vermont man serving an eight-year sentence for stealing a dozen guns. McKinnon shared a cell with Fotios “Freddy” Geas , a Mafia hitman from West Springfield who is serving a life sentence for two murders. Geas was previously identified by law enforcement officials as one of two suspects in Bulger’s slaying. The other suspect is Paul J. DeCologero , a member of a North Shore organized crime group that dismembered a teenage girl they feared might cooperate against them. The four men have been in solitary confinement since Bulger, 89, was found beaten to death in his cell, according to Bureau of Prisons records. It’s unclear whether Wilson or McKinnon are suspected of involvement in the attack itself, in planning it or covering it up, or were moved to solitary confinement as a precaution, according to a report in The New York Times, which first linked the two inmates to the investigation. “I could not imagine that he would have anything to do with the homicide,” said Herbert L. Greenman, a New York lawyer who represented Wilson in a stolen firearms case and hasn’t spoken to him since he was sentenced last year. Wilson, who has an IQ of 82, was riding his bicycle toward oncoming traffic in Buffalo in 2013 when police stopped him and discovered he was carrying a handgun without a license, according to court filings. He was sentenced to 30 months and is scheduled to be released in April. A lawyer for McKinnon could not be reached for comment. McKinnon, who was convicted of stealing guns from a Barre, Vt., gun store in 2015 and trading them for heroin, is scheduled to be released in August 2022. Security video captured DeCologero, 44, of Lowell, and Geas, 51, entering Bulger’s cell around 6 a.m. on Oct. 30, just after the doors were unlocked to allow inmates to go to breakfast, several law enforcement sources said. Bulger’s body was found about two hours later. Law enforcement officials said Geas has admitted he attacked Bulger but claims he acted alone. It’s unclear whether Wilson had left the cell before the attack. Federal investigators are also looking into why the notorious South Boston crime boss was transferred from the US Penitentiary Coleman II in Florida to the US Penitentiary Hazelton, where two other inmates were killed in recent months. Bulger, who was sentenced to life in prison in 2013 for 11 murders, was publicly identified by the FBI as a longtime informant who provided information about local Mafiosi and other underworld rivals. He was in a wheelchair and had a chronic heart condition when authorities placed him in the prison’s general population, which included inmates with ties to Massachusetts organized crime. A Bureau of Prisons spokesperson said in a statement that Bulger’s transfer to Hazelton was made “in accordance with BOP policy,” which included a review of whether inmates “known to be a threat” were housed there. “As a matter of policy, inmates are not housed in the same facility with, for example, co-defendants, perpetrator/victim, and certain disruptive groups who are known to be antagonistic to one another,” the spokesperson said. 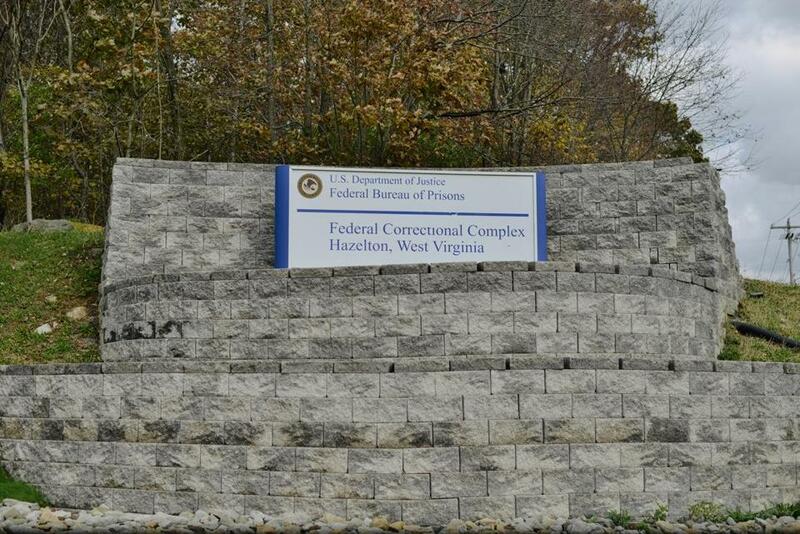 Prison records show that Bulger arrived at Hazelton, a high-security prison in Bruceton Mills, W.Va., at 6:45 p.m. on Oct. 29. He spent about two hours being processed and was initially assigned to a cell with DeCologero, who is serving a 25-year sentence for racketeering and conspiracy. DeCologero was part of a crew operated by his uncle, Paul A. DeCologero, who has claimed that Bulger once put out a contract on his life. It’s unclear whether Bulger was ever placed in DeCologero’s cell, which was on a second level and not handicap-accessible. Just before 10 p.m., Bulger was assigned to a first-floor cell with Wilson. The Bureau of Prisons spokesperson said Bulger’s alleged attackers “were not known to be threats” and didn’t have known geographical ties to Bulger. “Based on extensive correctional security observation, (and contrary to published reports), members of crime families are not generally considered to be a threat of harm to one another when placed together in the same federal facility,” the spokesperson said. The Bureau of Prisons spokesperson declined to answer questions about policy regarding the placement or protection of inmates who had been government informants. Joe Rojas, president of the union that represents prison workers at Coleman, the Florida penitentiary, said the wardens of Coleman and Hazelton were “heavily involved” in Bulger’s transfer and should be held accountable for their actions.